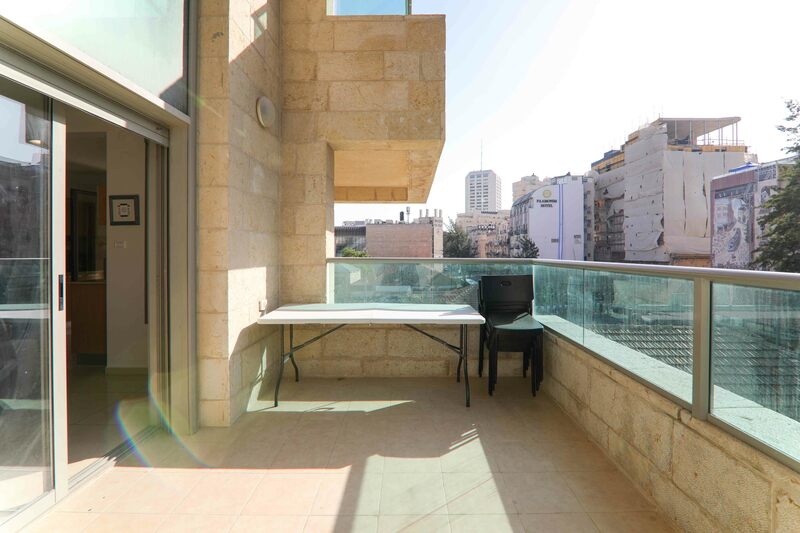 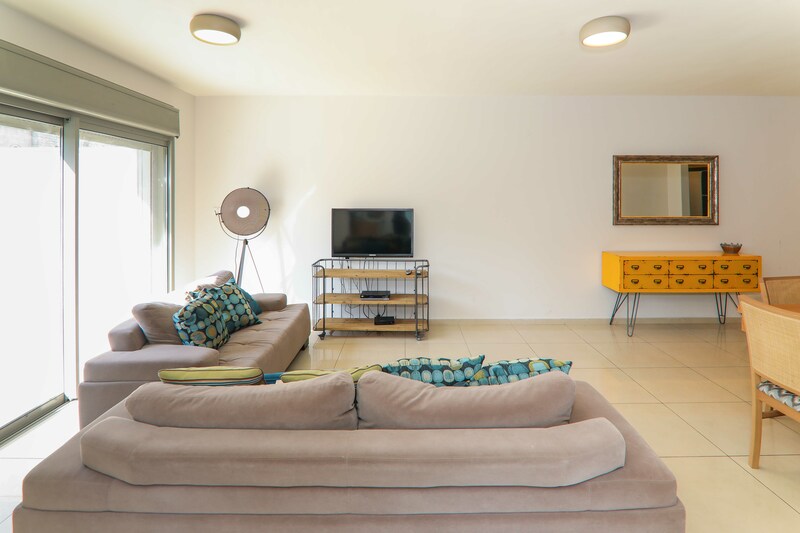 With a clear view over the rooftops of downtown, this contemporary apartment invites you to stay in comfort and enjoy the action of Jerusalem. 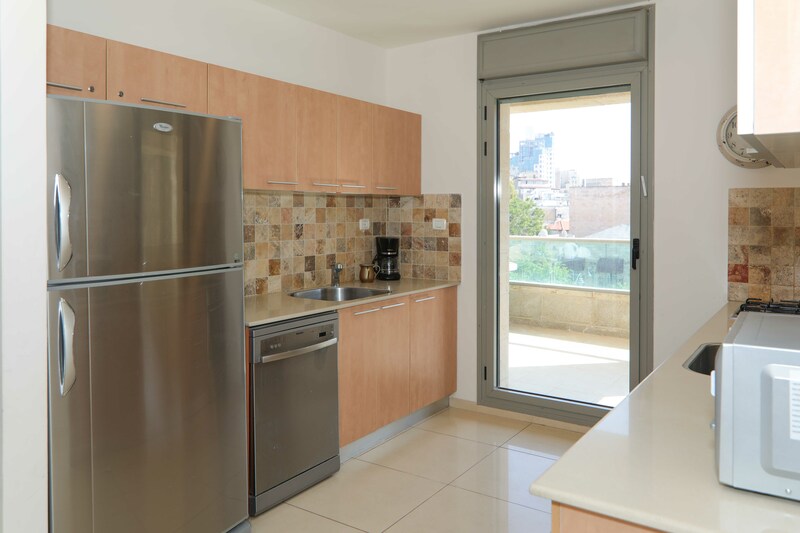 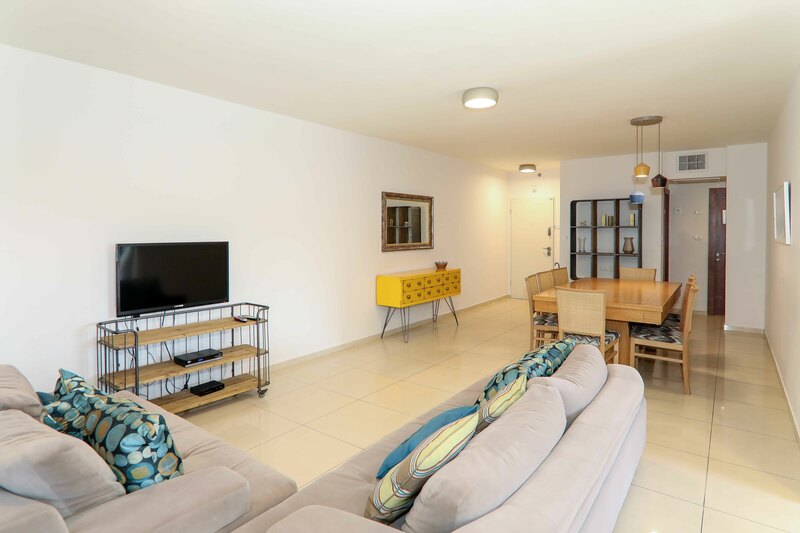 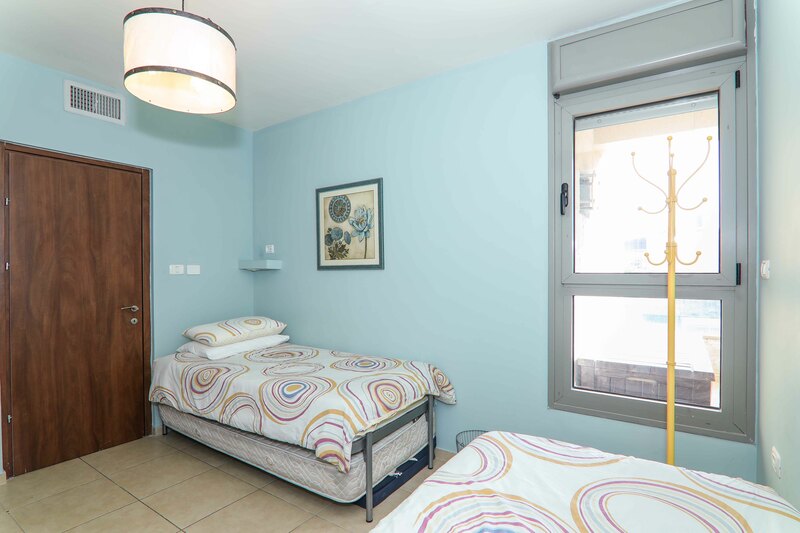 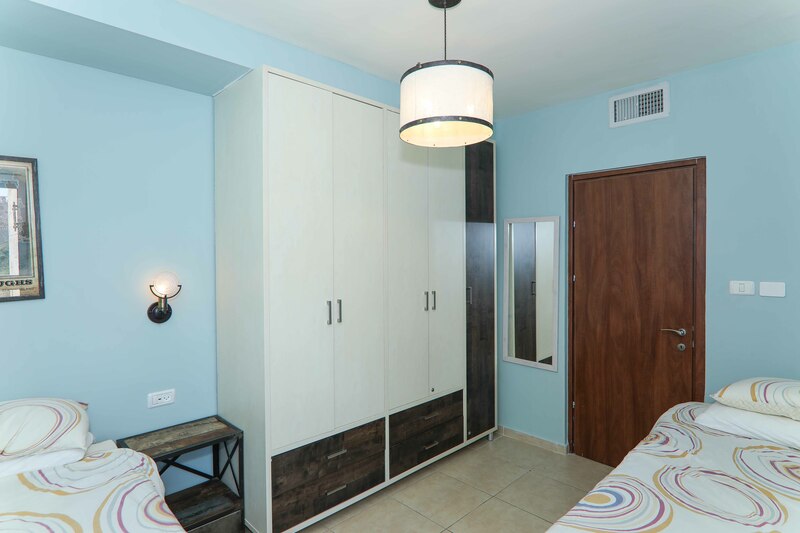 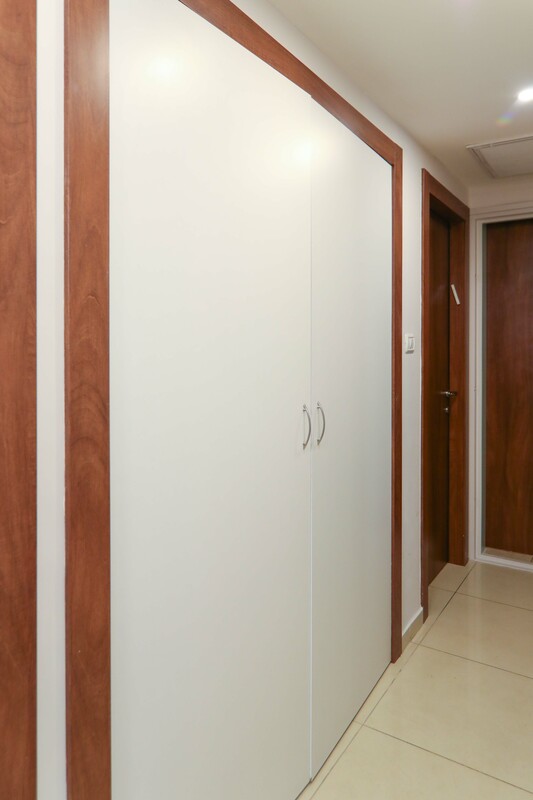 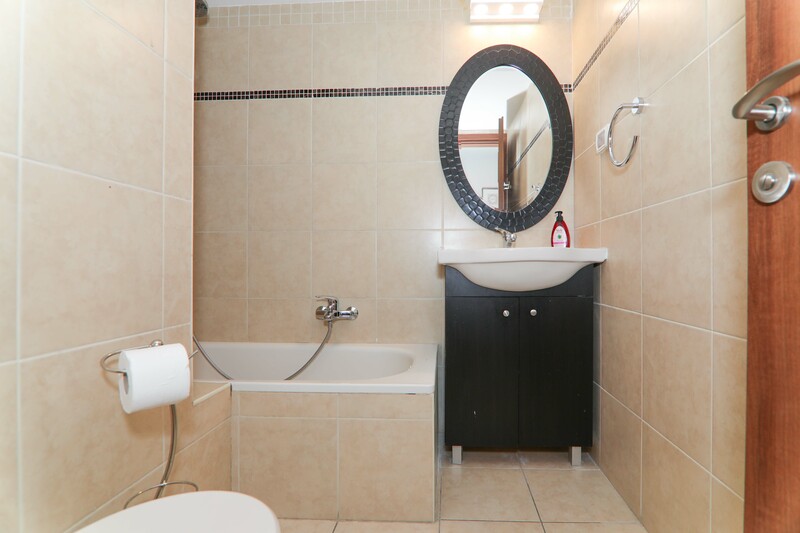 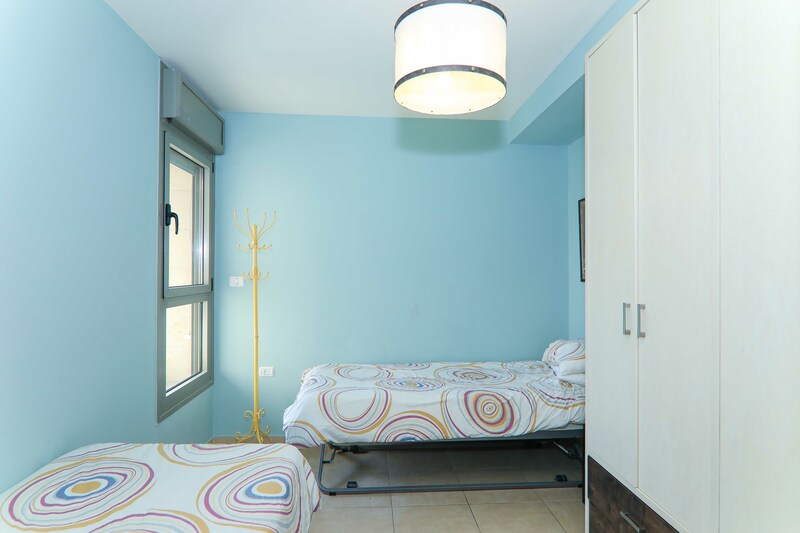 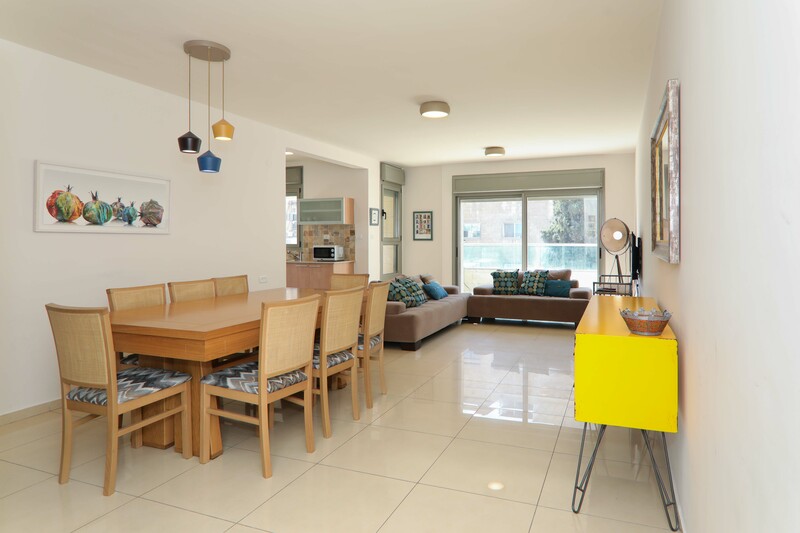 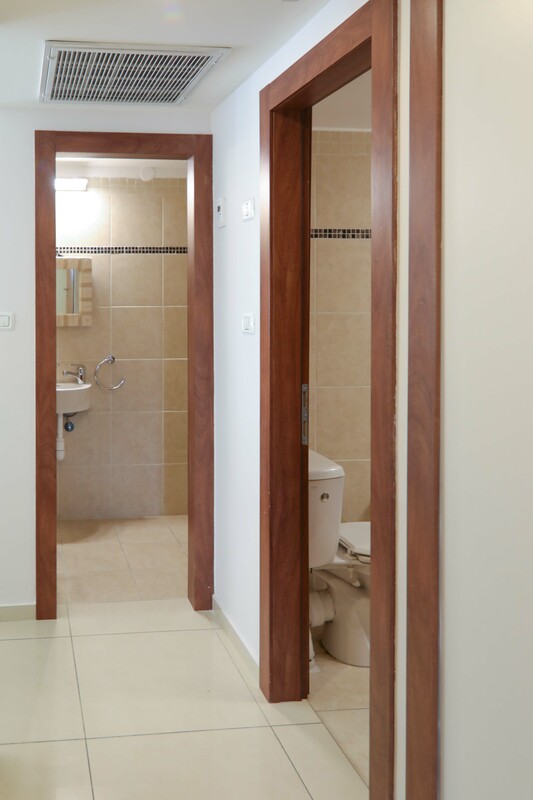 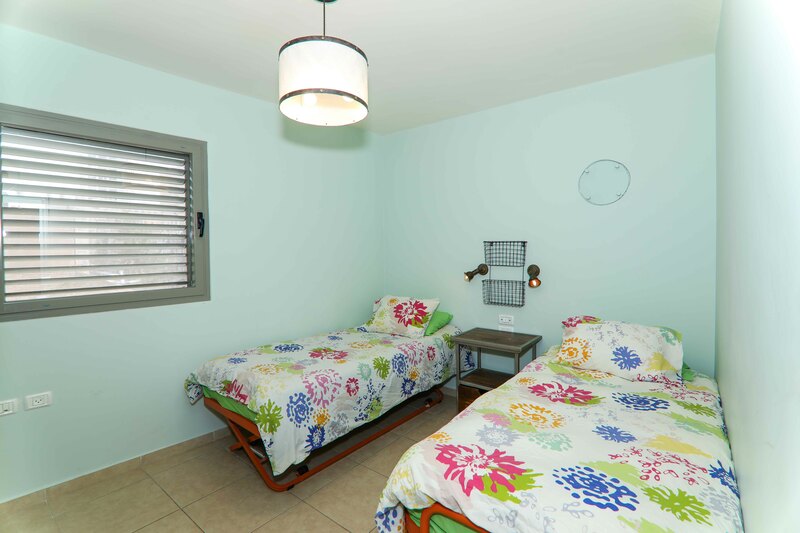 You’ll be down the block from all the lively city streets – King George, Ben Yehuda and Yafo Street, and right near the open air marketplace of Machane Yehuda. 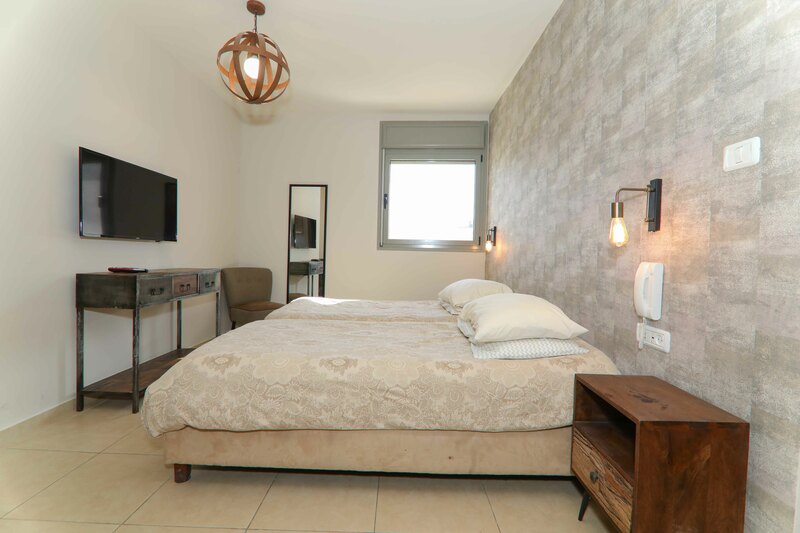 Geula and Mea Shearim are a short walk in the other direction, with narrow cobblestone streets, buildings and synagogues steeped in history. 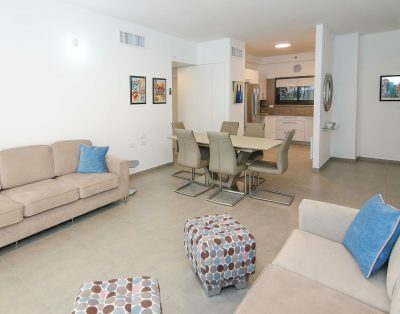 The Old City and the Kotel, as well as the fashionable shopping strip of Mamilla Mall, are all within walking distance. 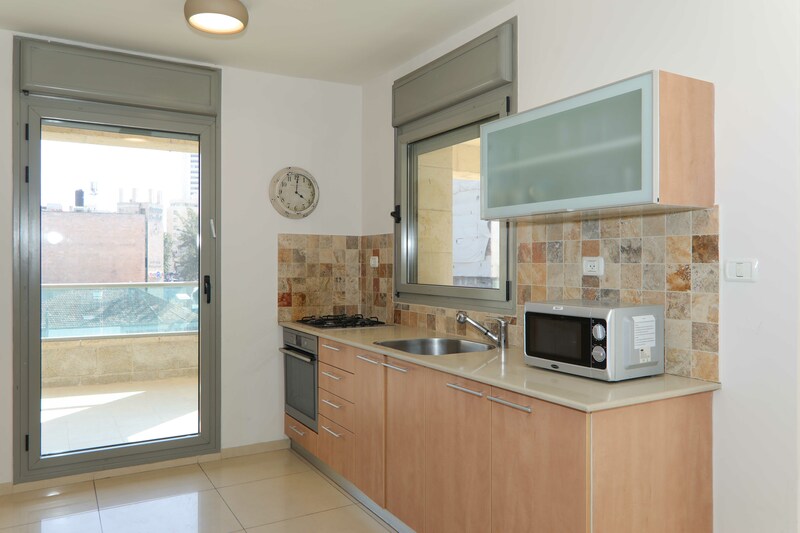 Many bus lines and the light rail are close by, granting you access to all of Jerusalem. 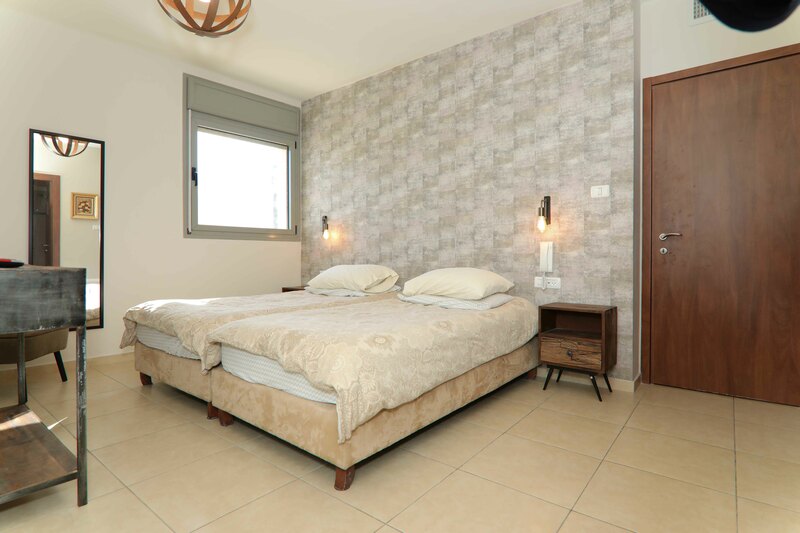 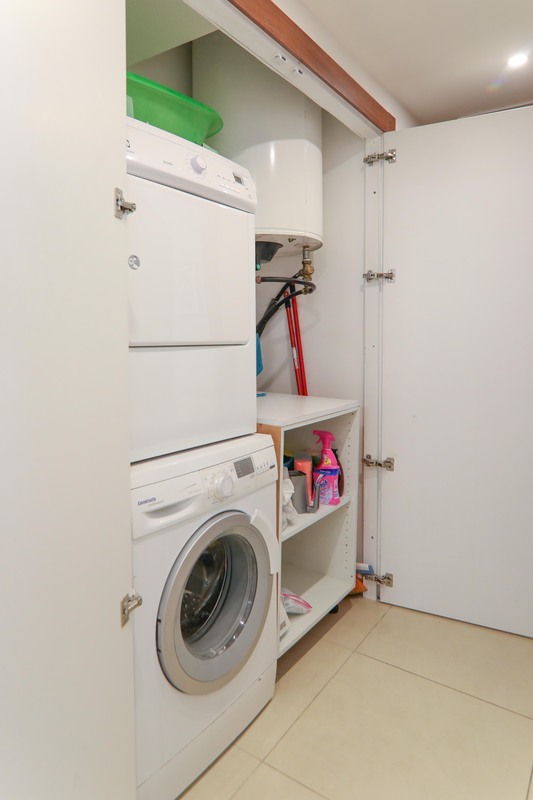 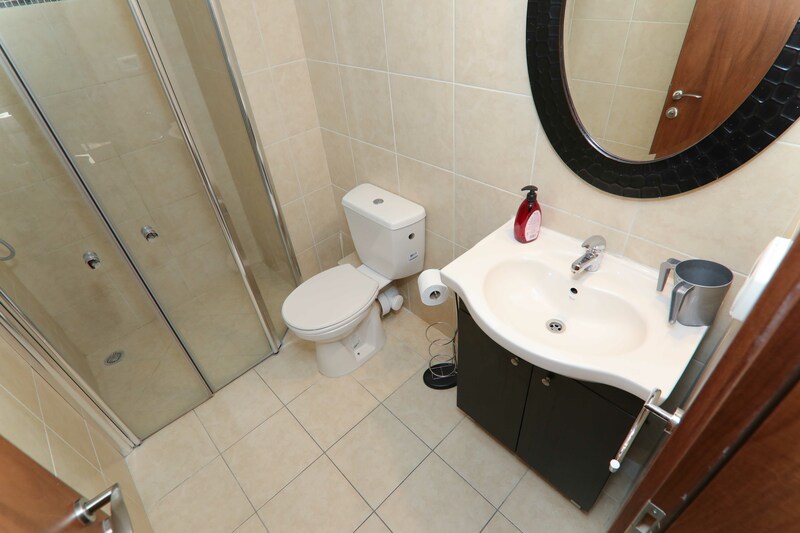 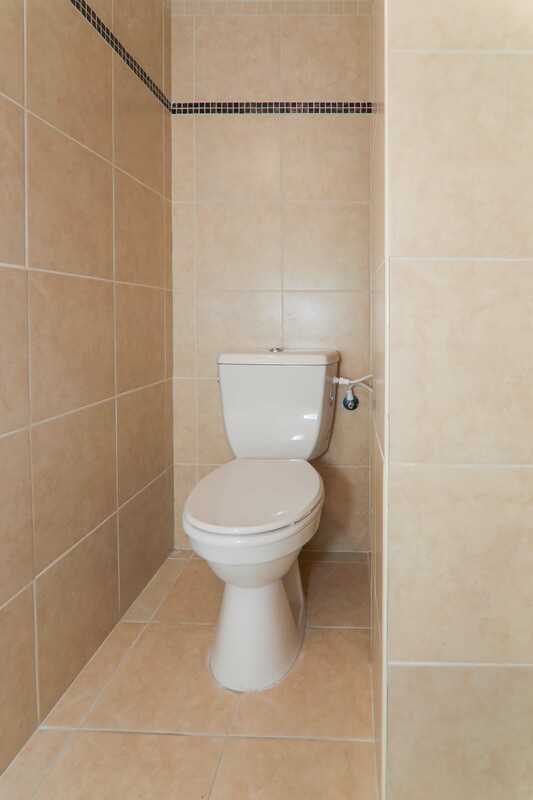 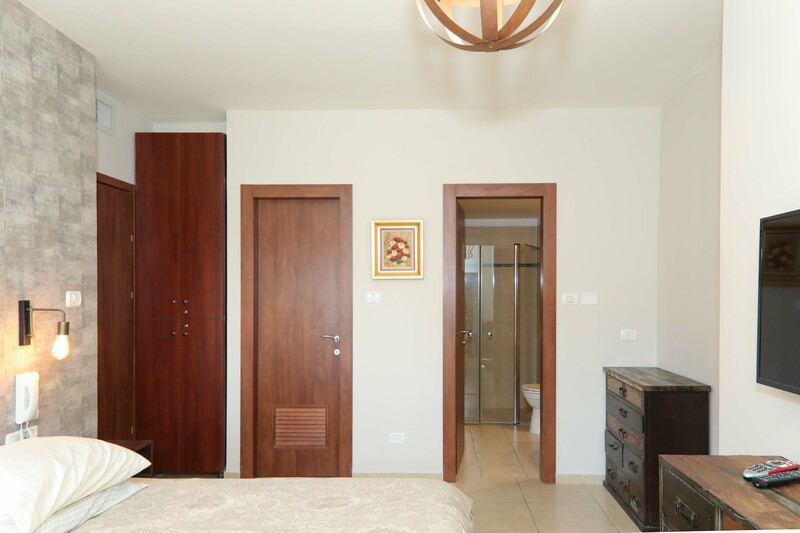 This apartment has three bedrooms decorated tastefully, with ample closet space and a master bedroom suite. 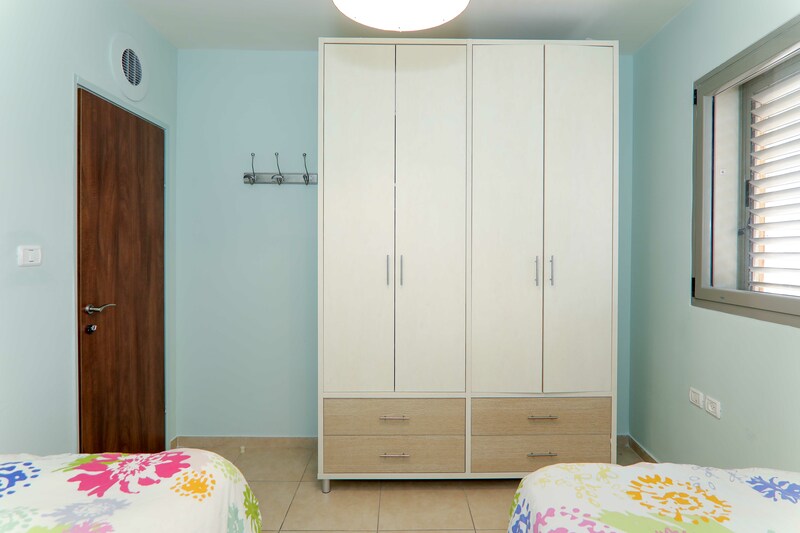 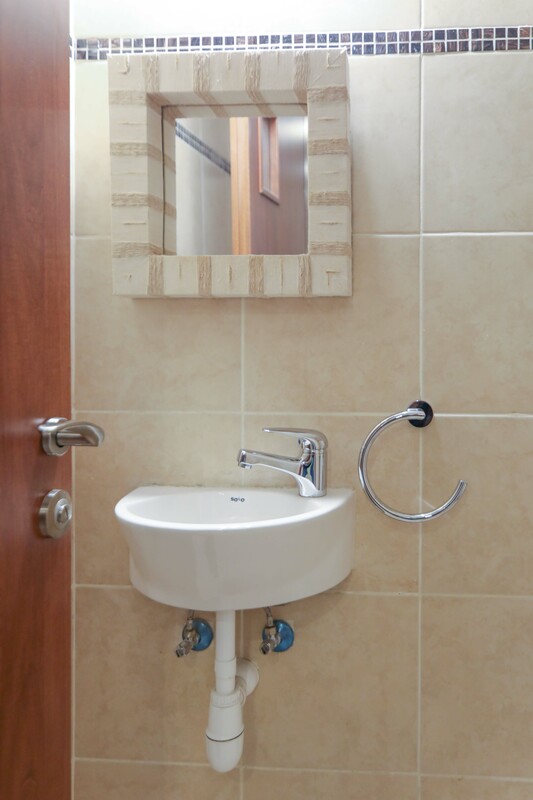 Family friendly and roomy, there is space for up to six guests. 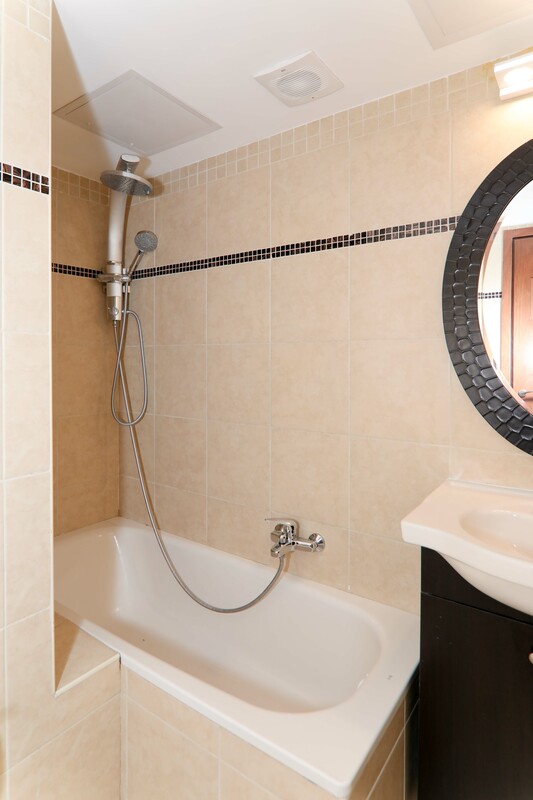 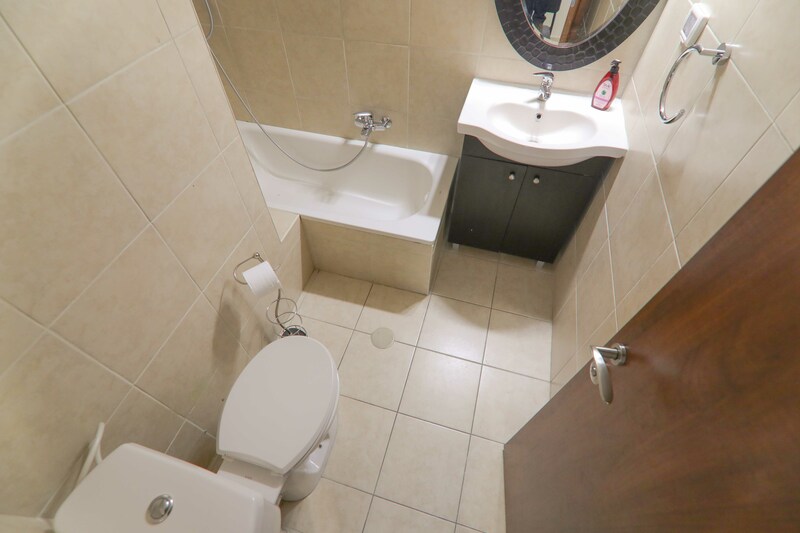 There are two renovated bathrooms, with a bathtub and shower. 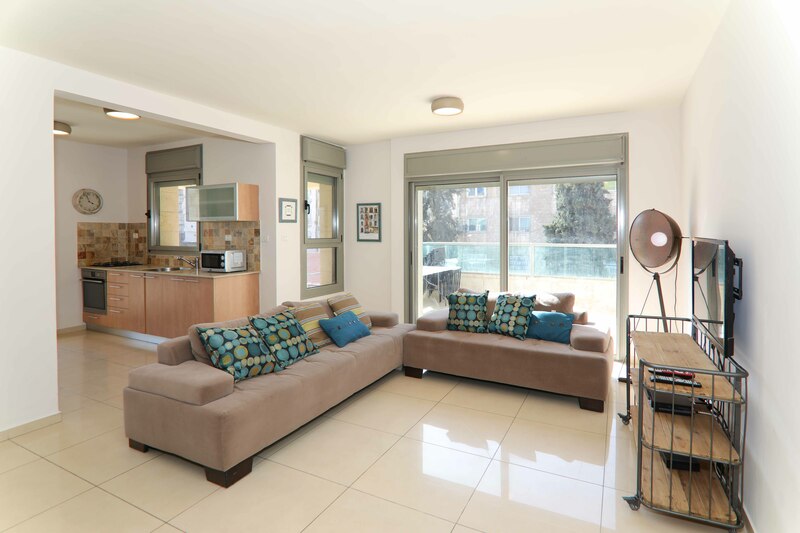 The sunlit living room is furnished with large couches and a spacious dining room set. 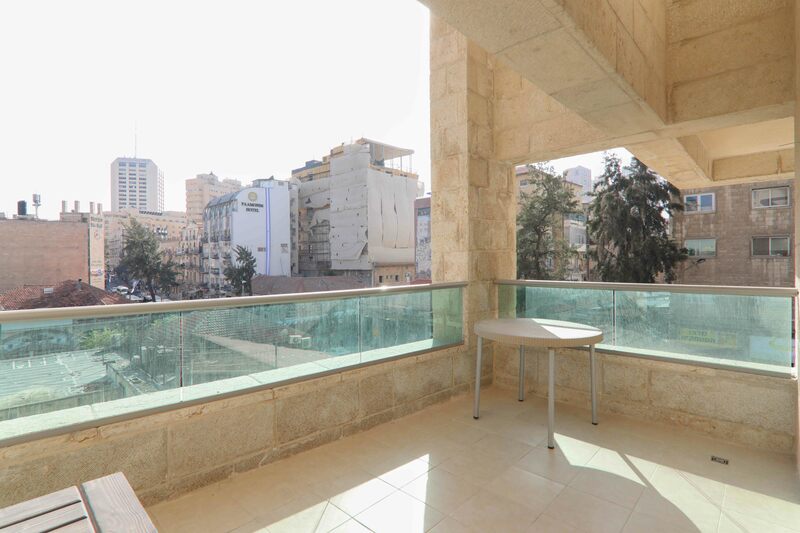 Glass doors lead out to the balcony, which provides a pleasant outdoor area to sit and gaze at all the local attractions. 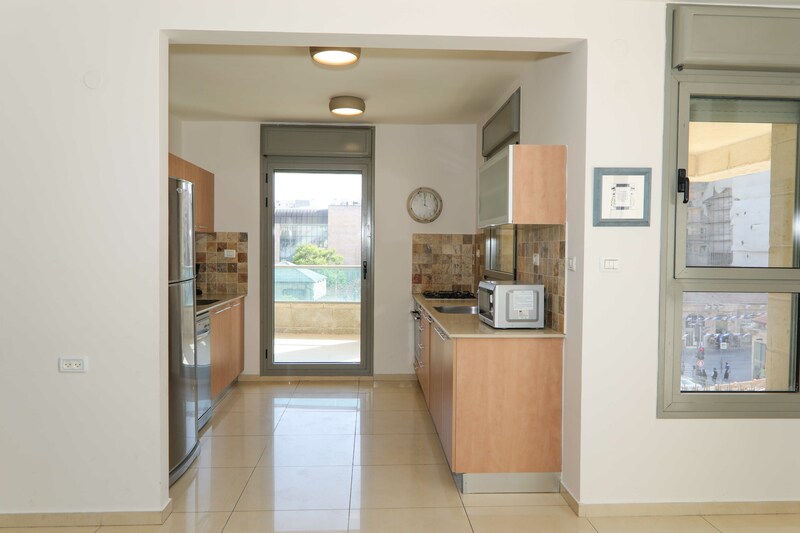 A galley style kitchen is fully equipped with utensils and all the appliances you’ll need. 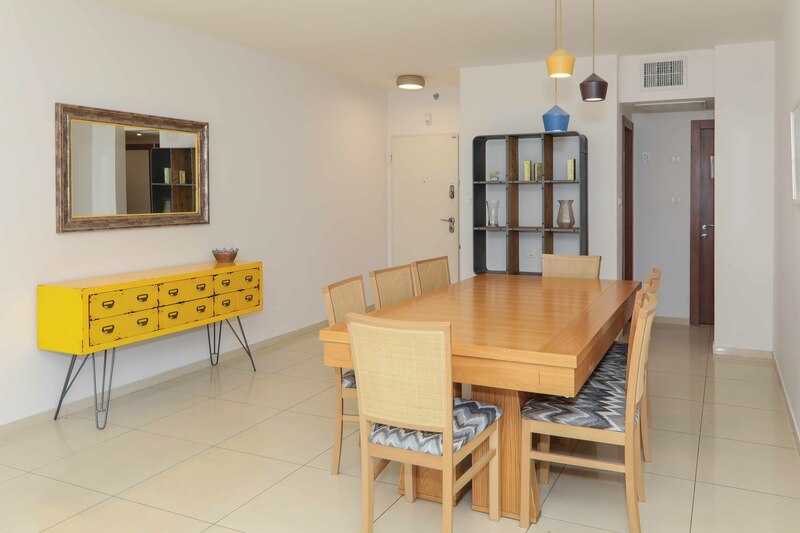 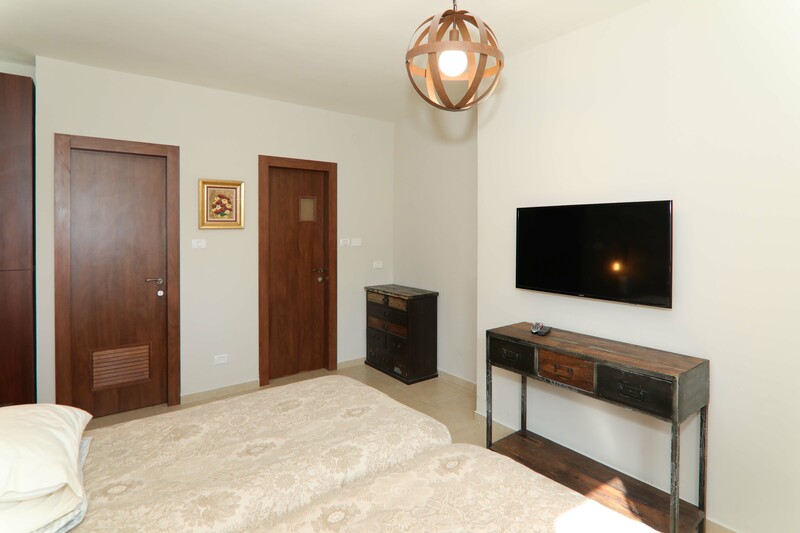 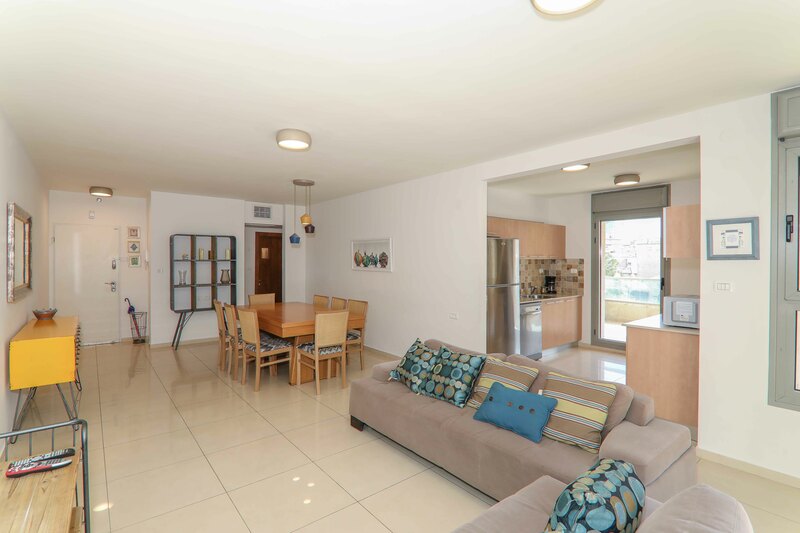 This is the ideal apartment for a family who wants to relax in style, without missing a beat of what central Jerusalem has to offer. 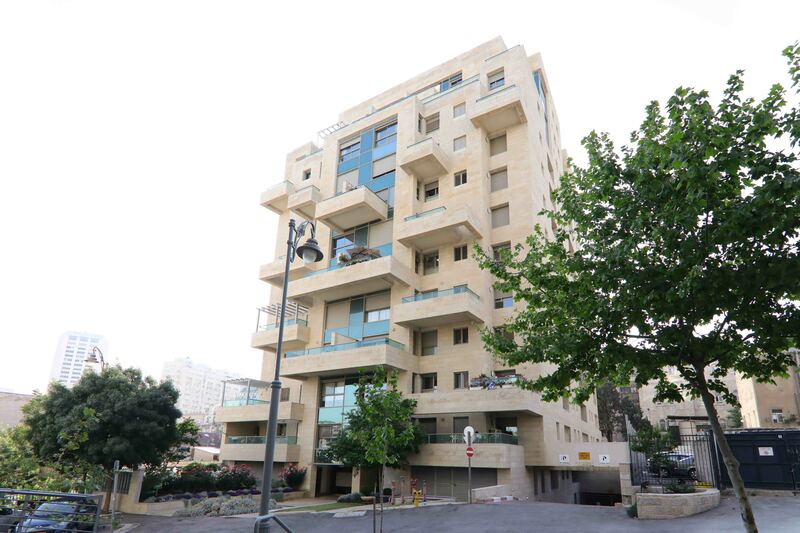 Parking: The apartment has a parking space in the building parking lot. 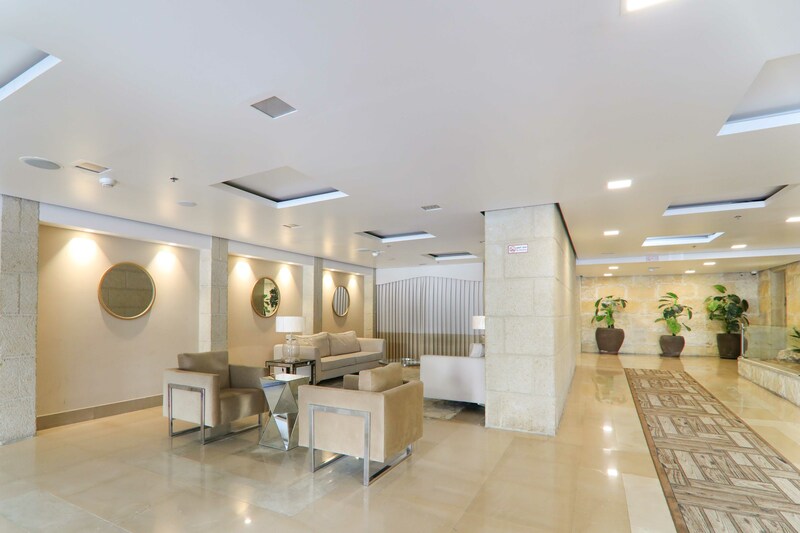 In order to access the parking lot you must have a local Israeli cell phone number. 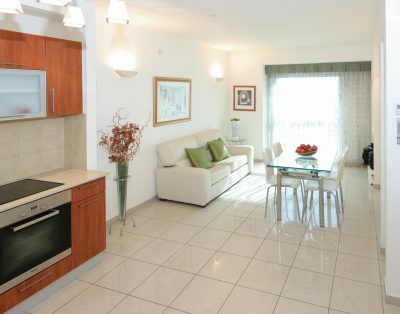 Pesach Dishes: The apartments has a full set up Pesach dishes, pots and pans.